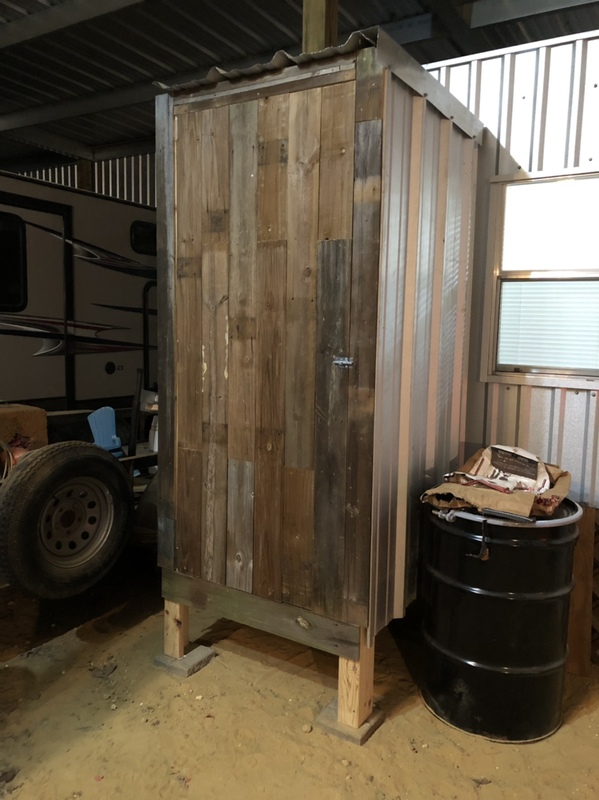 What type of tin or steel are yall using for the outside of the smokehouse? Thanks! Looks great. Brings back memories. 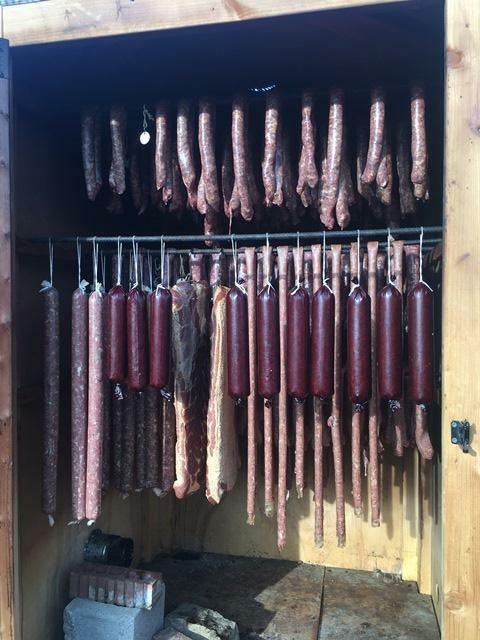 Question about making jerky in something like this like you'd make dried sausage. Cold smoke for a few hours and leave in racks with a fan? And would you just add fire salt to the jerky mix? Or would you need to use actual hear for the jerky and cure salt only works in casings? Like deer sticks or sausage? I added a propane burner to mine for making muscle meat jerkey, summer sausage, snack sticks. Just gotta keep the propane running and keep the Temps up. I put a Guage on the door so I can regulate the temps. Do you suggest getting it 160-180 then letting it just air dry or just use heat or a mix of the two? Yea I wanna get a burner in mine. It's not all that scientific! Get the burner between 165 an 180 an let it cook. The meat will be done in about 8 hrs or so. Just keep an eye on it at tr he end of the cook an once it's at that stage it will be done,then it's all about how you want it to look. Also, it will continue to cook after pulled. It takes some getting use to it, but it is by no means hard. Yea I have cooked it several times in my smoker. 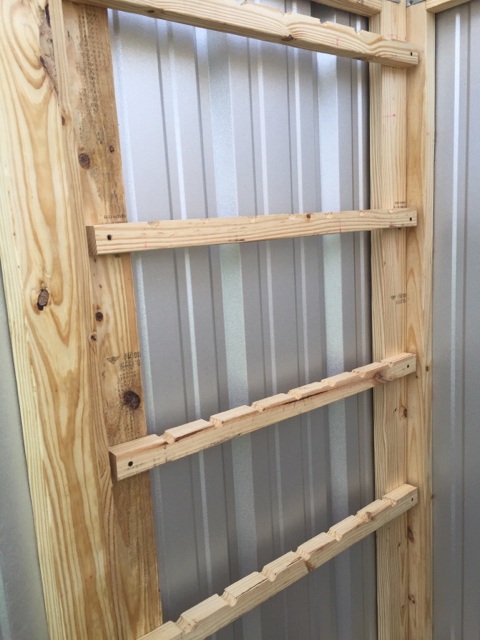 Offset with a vertical with racks or to hang sausage. But I just built a smoker so I gotta re think it. Need to put a thermometer on the door. Turned out ok. Hardest part was cutting the tin. Was kind of short on Tn. Mis measures but with a screw piece front and back on the roof the one piece fit. Looks silly. I need to cut it. I'll fix it one day lol. I need to get the finger out of my arse and build one. I wanna try a few different smoked sausage recipes just for fun. I think I may build one soon. 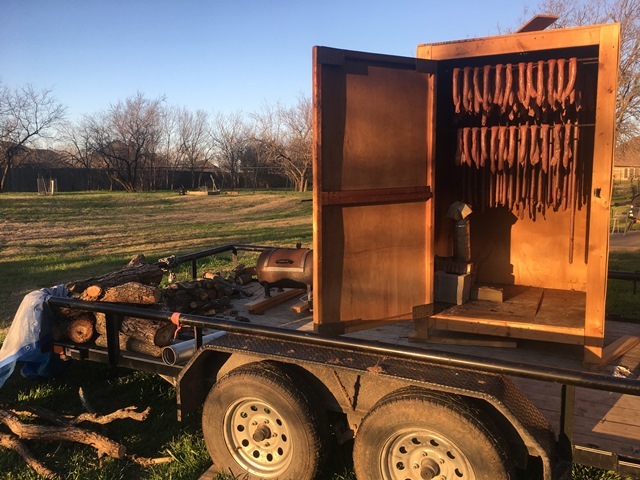 Ive got plenty of mesquite & pecan wood. Lookin good. If it's in an open area you will probably end up skirting the bottom. I had to with mine to keep the wind under cotrol. Is there a reason you wouldn't want an actual floor in the bottom with piping coming up through the center? As opposed to skirting? 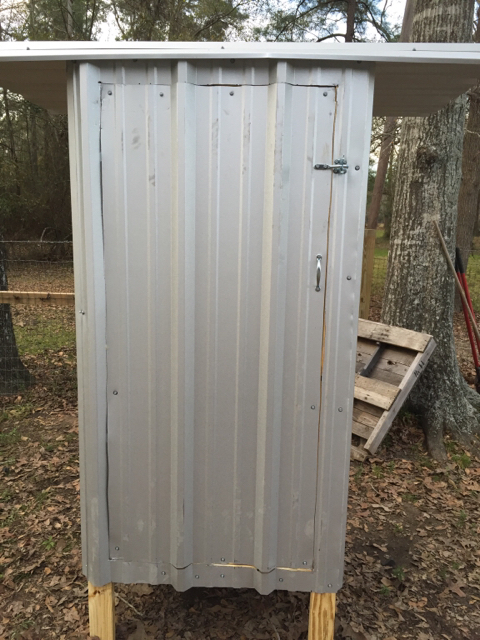 Is your flashing galvanized that you used for the top. Reason I’m asking is I will be using this to smoke briskets and ribs also and didn’t want the galvanized finished to let off any fumes as it warms up. Are y'all just using pine to make the frame? When looking into old smokehouses other places, most sugest using hardwood to avoid any off flavor. Have you had any problems? 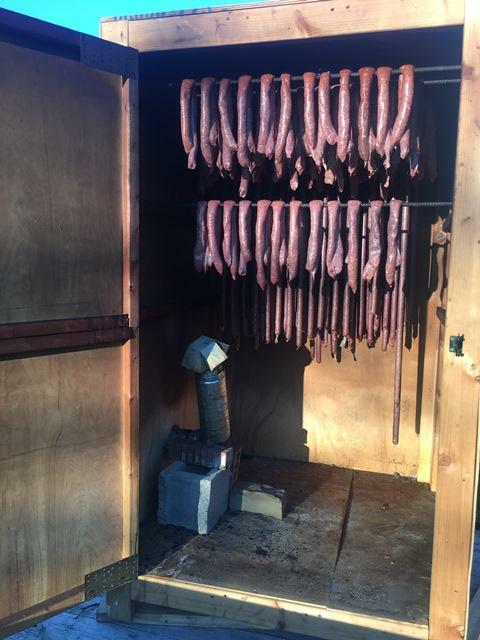 Remember ...We cold smoke our sausage and hunters sticks so the hottest the inside gets is 80 degrees. 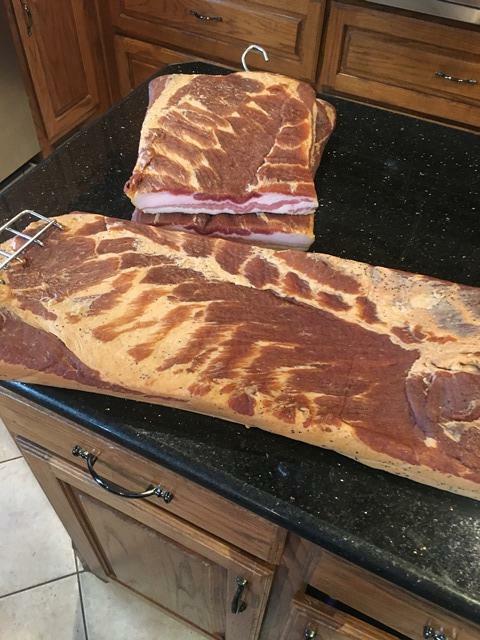 If I have to smoke anything to temp it goes in my offset smoker. Very nice smokehouse. Thanks for the idea and sizing information. I see one of these in my near future. Started building mine tonight. Will take some progress pics tomorrow. I’m debating throwing a piece of Plexiglass on my door instead of the tin just for looking sake. 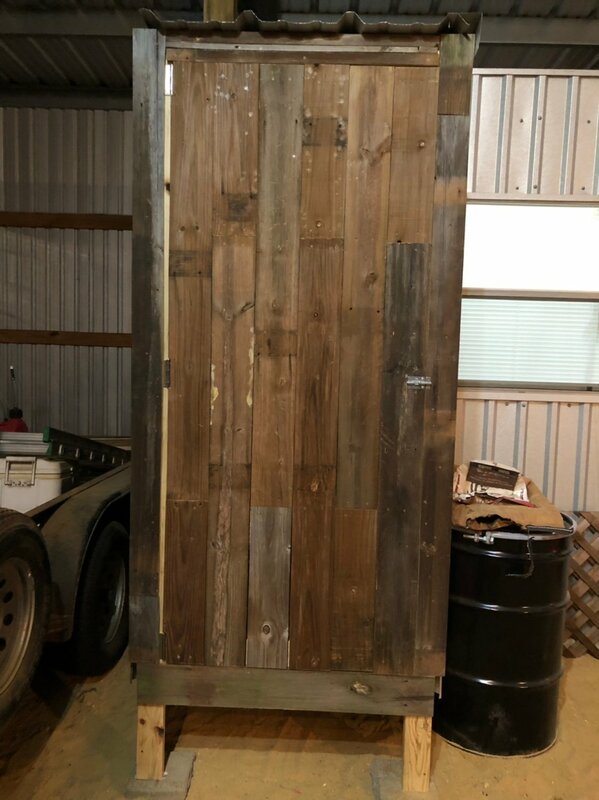 Was also thinking of using some old barnwood around the outside, but as of now with just the frame and door, it’s starting to get heavy already. Looking forward to drinking cold beverages and smelling this thing work for a couple hours! I need to build one of these. Mine are 13" from the top of one rack to the top of the one below it. We cut the links to 19" and fold them in half to get them to easily slide into 11" vacuum bags sideways. Anything longer and its a PITA or a waste of bag space. 13" is more than enough to hang them and not touch the links above or below. The 13” spacing works for making 9” links that fit well in an 11” wide vacuum bag. 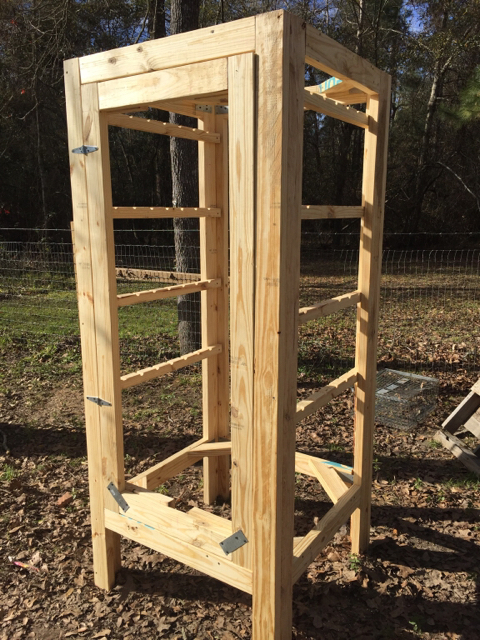 Got mine almost finished, just need a few more hanging rods and to get some smoke going. That turned out nicely, good job! I bought StanR’s just like and am going to use it today for some jerky. Do you use steel rebar rods, or did you go stainless or aluminum? I ask because I like your idea of not tieing the sausage but instead hanging it upside down and I want to do the same. 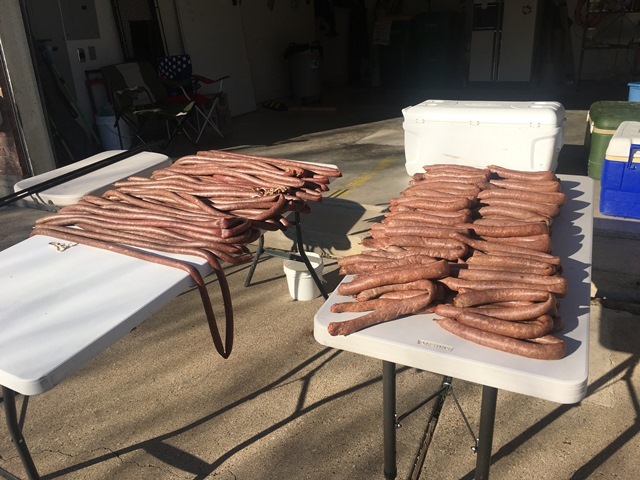 My only thing is I want to do it for dry sausage that will hang in there for a week to ten days while drying and im not sure if the rebar would have negative affects on the meat/casing as they have some surface rust? Maybe just sand them down and a thin coat of food grade oil is good enough? Alright I will give this a shot. Im not hot smoking either so should be good. I need to call Blake to order some bourdain spice, and this thread reminds me to do it but its usually past business hours when i think about it. That's a cool build. I want to make one soon. HTDUCK, REDGUN and Gmann came over to make sausage this weekend. 275lbs done over 2 days. Jalepeno cheese, standard Czech, hunter sticks, summer sausage and bacon.